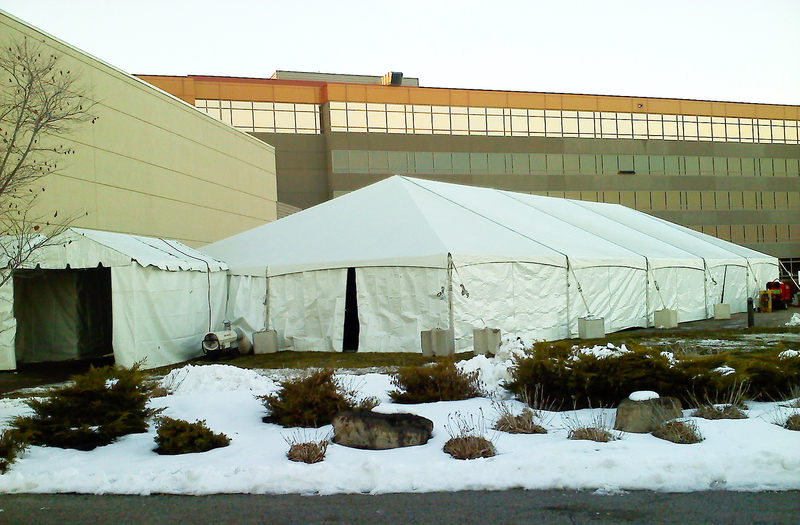 40′ x 100′ hybrid Jumbotrac with a million BTUs of heat on a consistently below zero day. 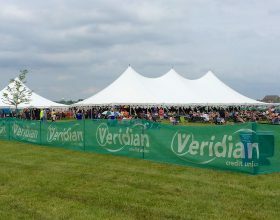 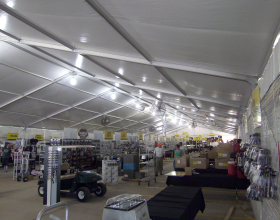 Large crowd of people under event tents. 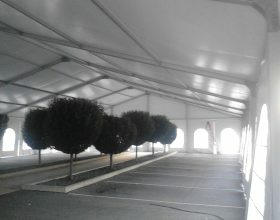 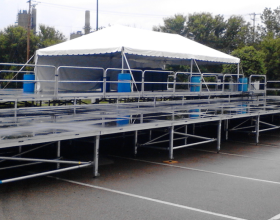 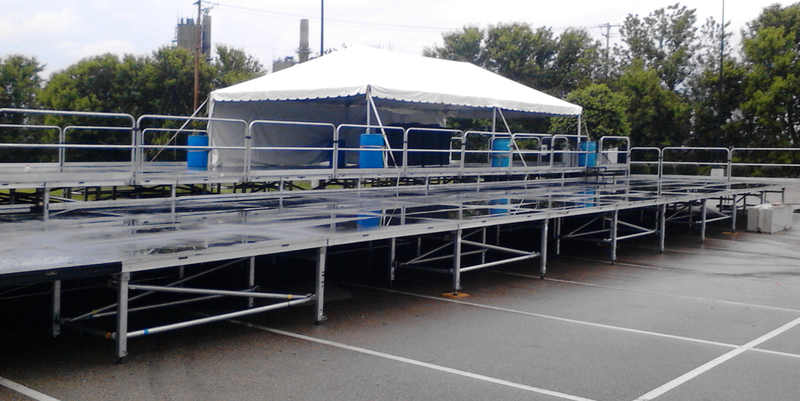 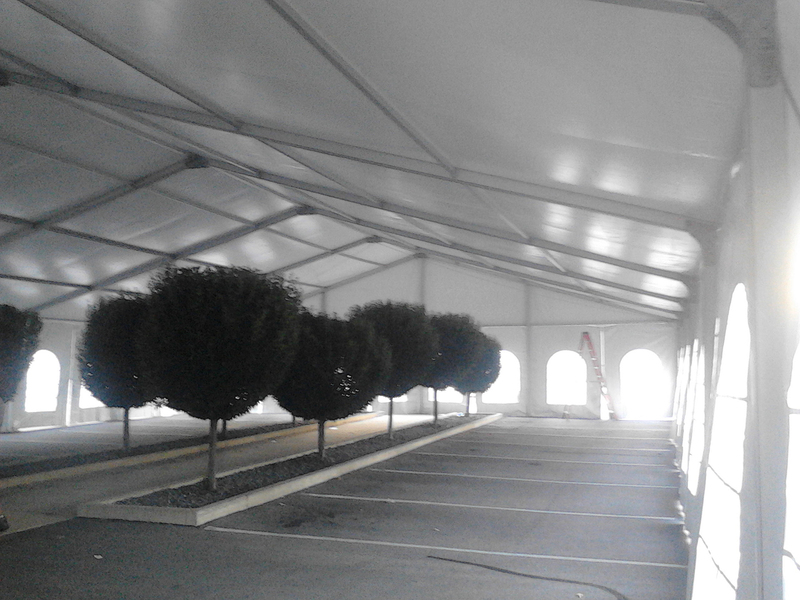 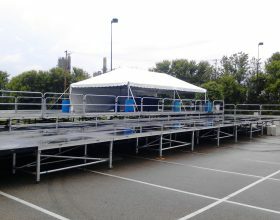 Big Ten Rentals specializes in setting up event both small and large. 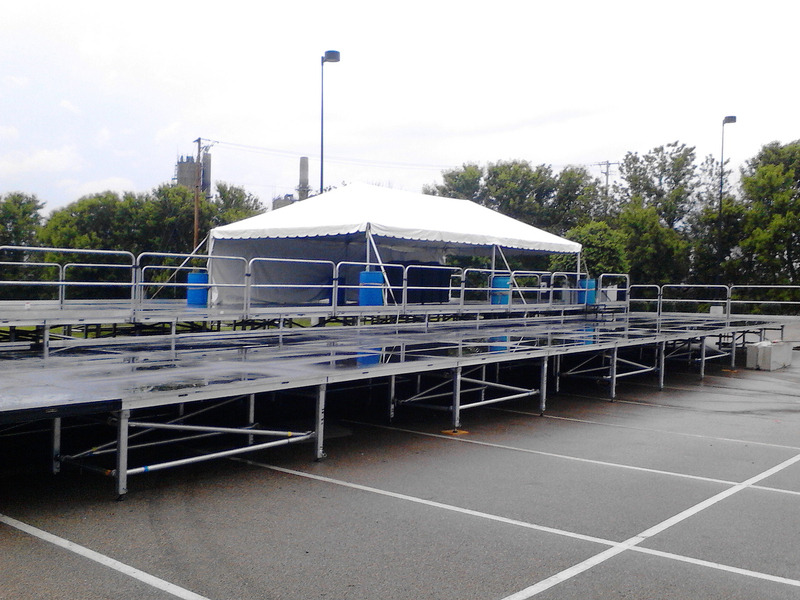 From multi level stages for bands, political events or large clear spanning tents wedding receptions, events and more in Missouri. 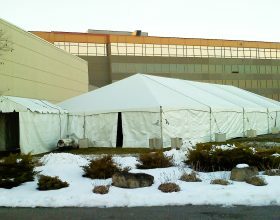 We invite you to take a look at some of the past events of parties, political events, weddings, and large festivals.